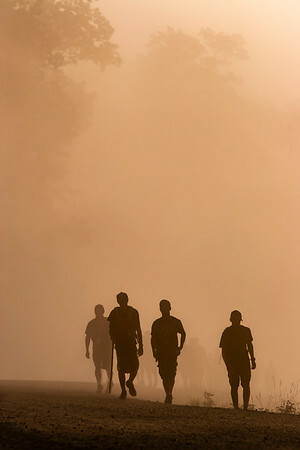 Scouts in fog. Summit Scout Reservation, W. Virginia. National Jamboree; July 2013.